Here are 3 exciting books for boys ages 10 and up. 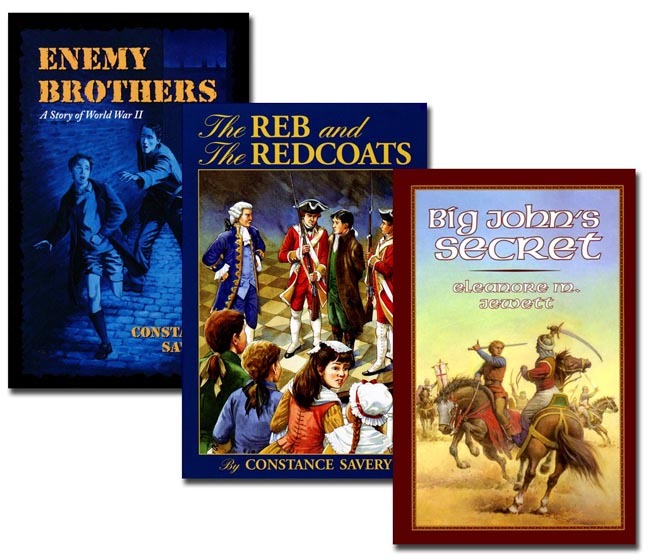 Join the adventure in Big John's Secret set in the 5th Crusade, The Reb and Redcoats in America's Revolutionary War, and Enemy Brothers in the early years of World War II. Save more when you buy the set of 3!